Hey! The Abyss will be represented at the upcoming TwitchCon Europe by a professional gaming team participating in the Twitch Rivals: Apex Legends 2019 finals. The event will take place on Saturday, the 13th of April, 2019 in Berlin, live! The AMD team is headed by Anton “Coollerz” Singov, the multiple winner and medalist of numerous esports tournaments across the globe. 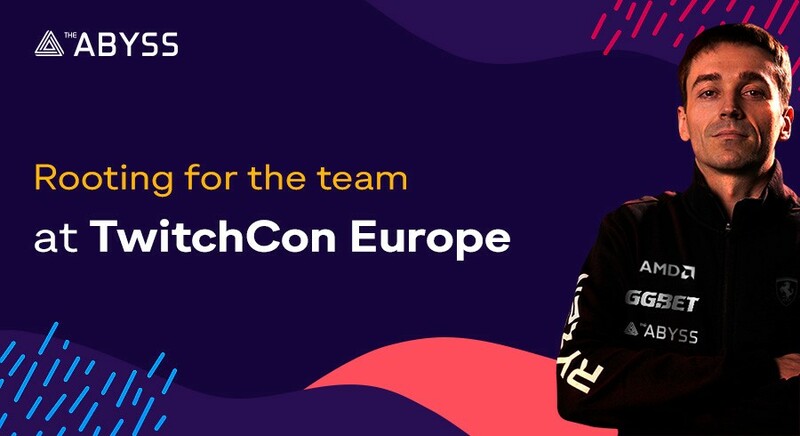 The competition is a part of TwitchCon Europe, the biggest annual convention for the live streaming video platform Twitch.tv devoted to Twitch and the culture of video game streaming. Gamers (20 teams of 3 players each) from Europe and North America are competing for a share in the $500 000 prize pool. In addition to the primary live broadcast, all competitors will be streaming on their respective channels. Apex Legends is a free-to-play battle royale game developed by Respawn Entertainment and published by Electronic Arts. Released on February 4, 2019, it is currently one of the most popular games on Twitch. Eight hours after its launch, the game surpassed 1 million unique players, and by the end of its first month it reached 50 million players. Team AMD (Apex Legends squad) consists of Anton “Coollerz” Singov, Eugene “iLame” Pechtelev, Alexander “KTVSKY” Leshkov. The squad participated in Twitch Rivals Europe qualifying stage (Road To TwitchCon), along with 16 teams, winning the slot in the finals. Coollerz was recognized as the most valuable player in that tournament. Coollerz is heading the team as a professional Quake and Overwatch player with 20 years of experience. He began competing when he was 13 years old and won several world championships, such as the ESWC 2003 and ESWC 2005. When Quake 4 was released in November 2005, Coollerz was believed to be the undisputed number one worldwide for over half a year and remains one of the strongest players to date. By supporting the team for the upcoming finals, The Abyss is making its major global appearance on this level in the industry. If you haven’t watched a Twitch Rivals event before, this is possibly the most perfect time to dive in. Twitch Rivals APEX Legends is an exciting tournament series with a large streamer audience and millions of viewers. We can’t wait to see all AMD’s talent on display at TwitchCon Europe. Stay tuned for more great news! And join us to cheer the team up during the finals on April 13, 2019.